(Tarahumara indian sage) Leaves and seeds are used medicinally by the Tarahumara Indians of Mexico. 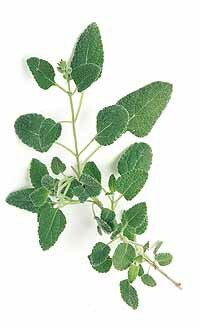 Thought to contain the same psychotropic compound found in diviners sage (S. divinorum). Foliage is pleasantly aromatic but it is the lavender flowers that possess the remarkable grape scent. In bloom from late spring until frost, it is a perpetual magnet for bees, butterflies and hummingbirds. Ht. 1.5-2m/5-6ft.